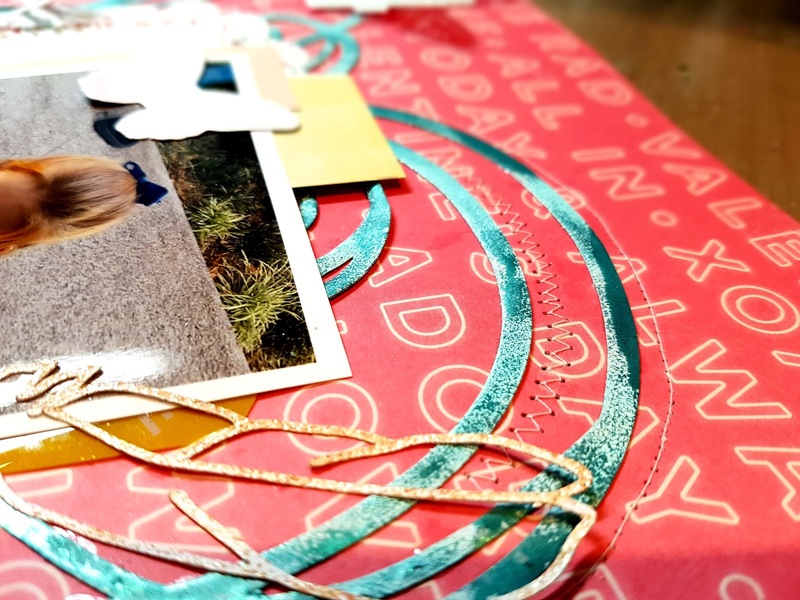 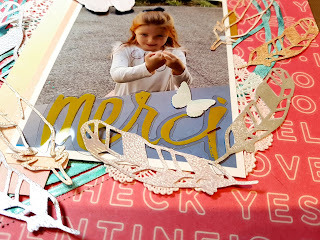 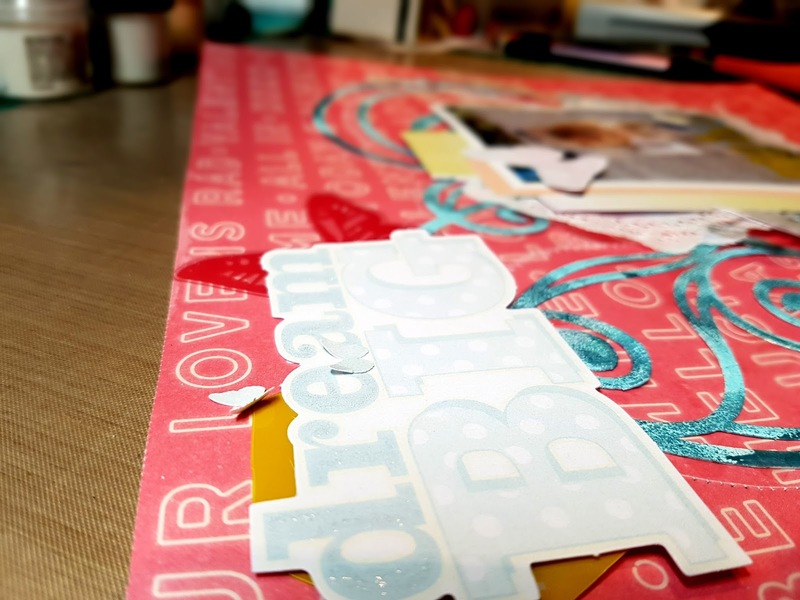 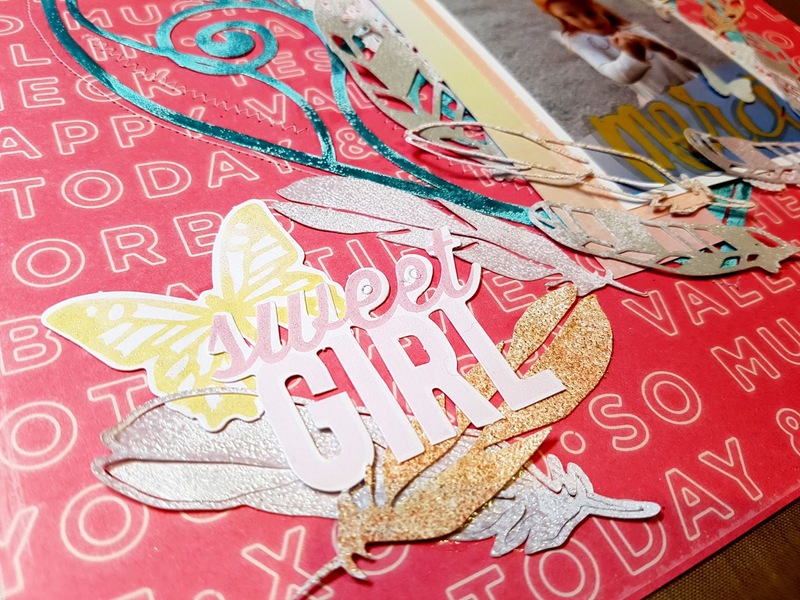 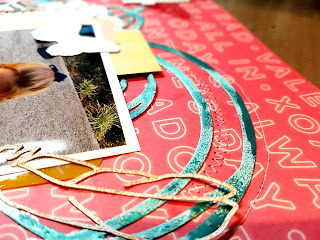 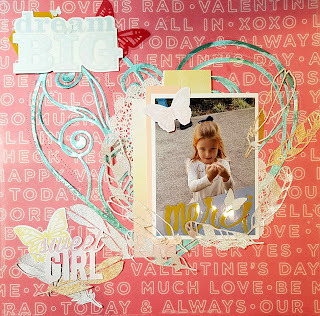 Today I am sharing a process video on Crafty Maven Getaway Channel using this inspirational mood board. Here is the Layout i came up with - i know, the colour scheme is not quite the same, but i did draw inspiration from the Teal/ Aqua colours in the mood board and coloured in the heart with that in mind, then the layout took me in a different direction! I have used a cut file with feathers and cut a whole heap out, which i then embossed with various embossing powders and using a heat gun. 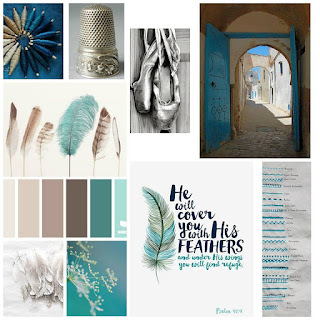 The list of colours and papers is at the end of this post. Zing! - Opaque Finish "Powder"
A beige with white speckle embossing powder that doesn't have a brand, sorry! 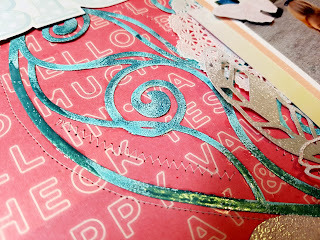 it's a freebie, so be sure to check out her blog, she does some awesome work!